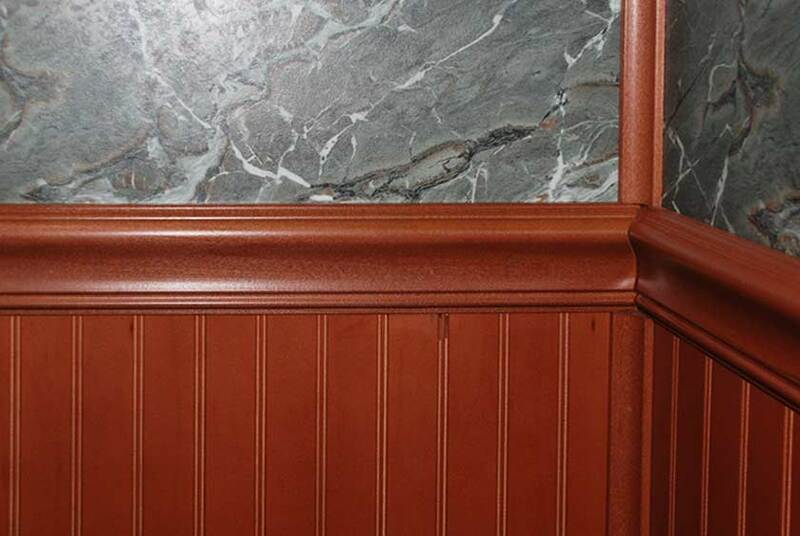 There is wood wainscoting that goes up to the 3-foot height. 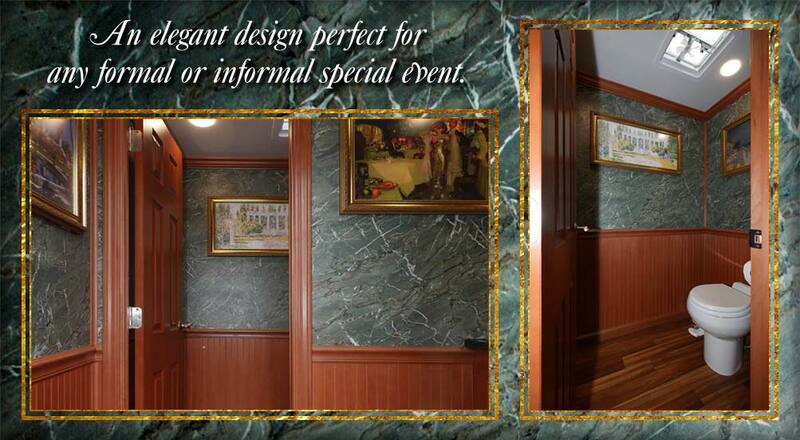 Verde green faux marble walls go from the chair rail moldings up to the ceilings crown moldings. 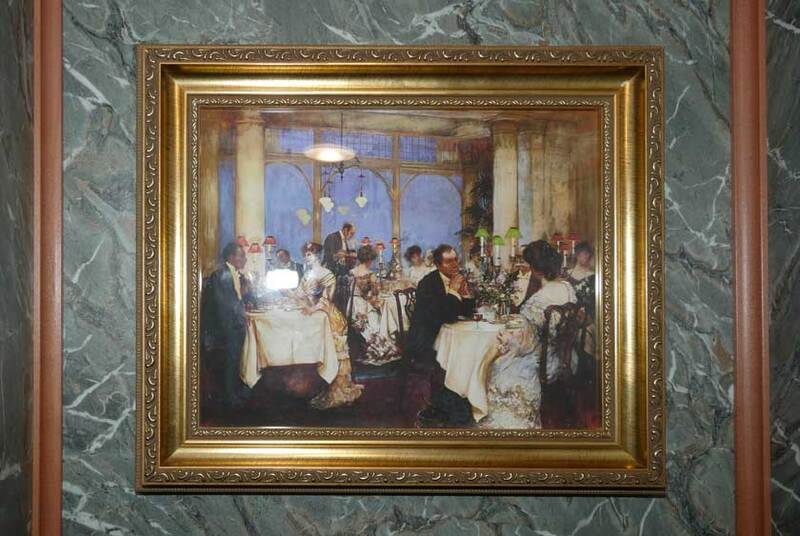 Stunning artwork in elegant gold frames was all specially selected and custom framed for the MANHASSET. 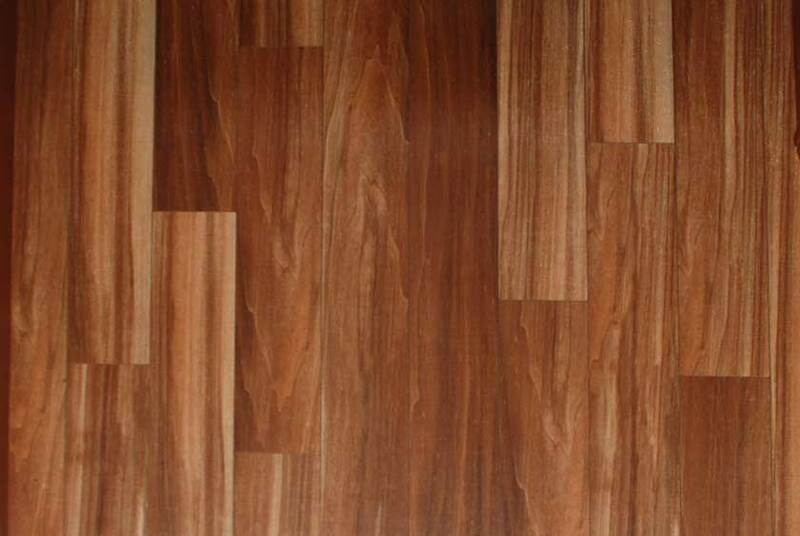 The faux wood Armstrong ﬂoor adds to the restrooms sophisticated design. 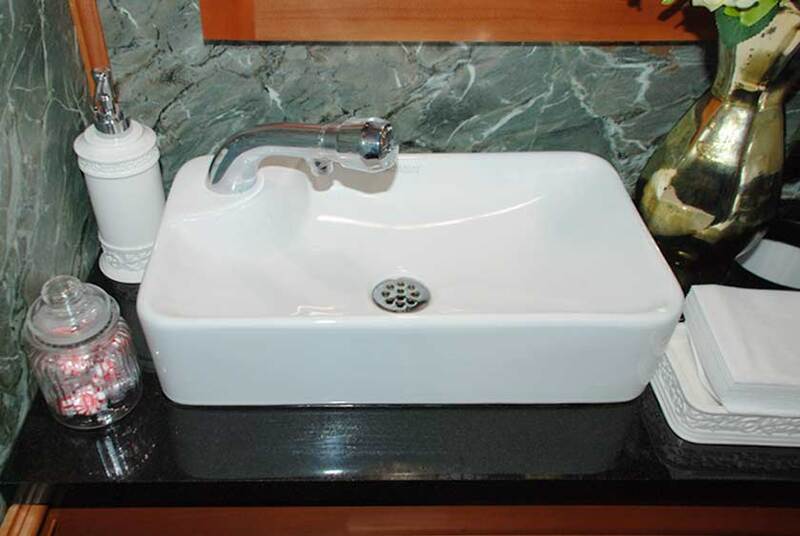 The granite vanity countertop in both restrooms has a porcelain sink basin with a single lever automatic faucet to supply hot and cold water. 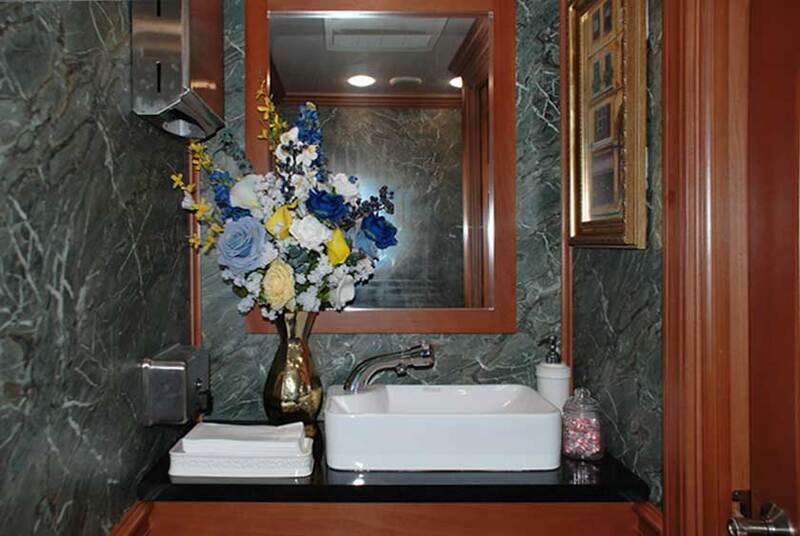 The decorative antibacterial soap dispenser, hand towel tray, and candy dish are all filled and included with the MANHASSET Luxury Restroom Trailer rental. 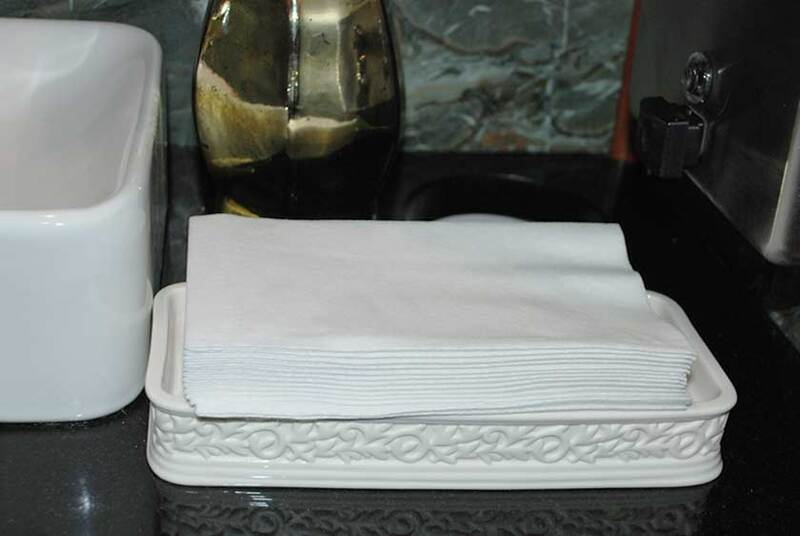 There are also hand towel and soap dispensers installed in the vanity area. 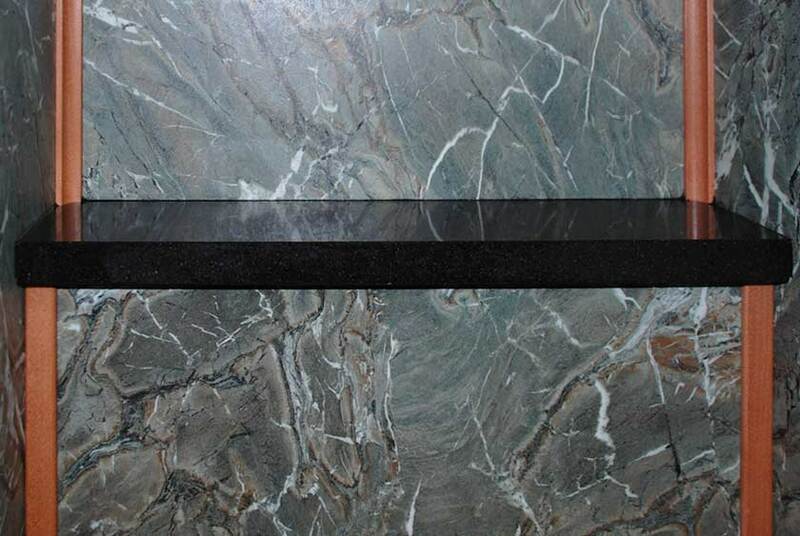 The built-in trash receptacle of vanity countertop will help keep the restroom clean. 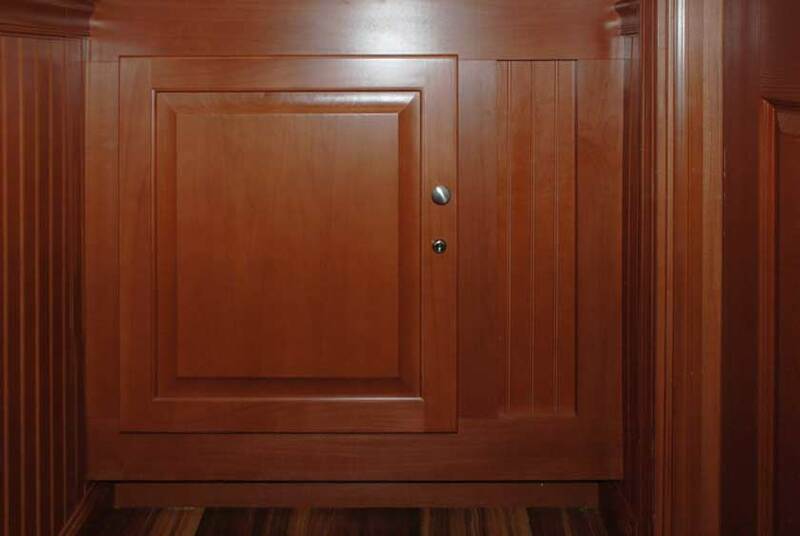 A storage cabinet below the sink is available for extra supplies. Above the sink, there is a vanity mirror, and a beautiful ﬂoral arrangement brings a classic touch to each restrooms setting. 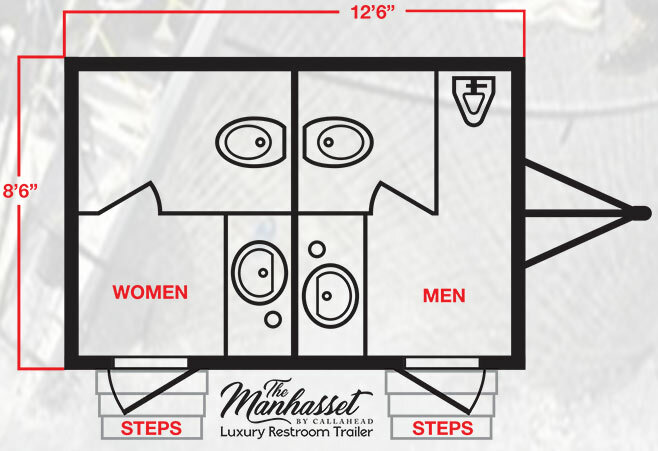 The MANHASSET Luxury Restroom Trailer is available for delivery throughout all of New York City's five boroughs of Brooklyn, Queens, Manhattan, Staten Island, and the Bronx as well as all of Westchester, Nassau and Suffolk Counties all the way to Montauk Point. For more information about the MANHASSET Luxury Restroom Trailer or any of CALLAHEAD's equipment, including construction restroom trailers, VIP portable toilets, standard portable toilets, portable sinks, porcelain toilet systems for offce trailers, guard sheds and ticket booth rentals, holding tanks, fresh water delivery, commercial portable sinks, portable hand washing sinks, antibacterial and hand sanitizing dispenser rentals, long-term or short-term portable toilet rentals, long-term or short-term restroom trailer rentals, portable shower and bathroom rentals, and portable storage shed rentals please contact one of our expert sales specialists at 800-634-2085 or visit our website for photos, details and videos of our equipment at www.callahead.com. 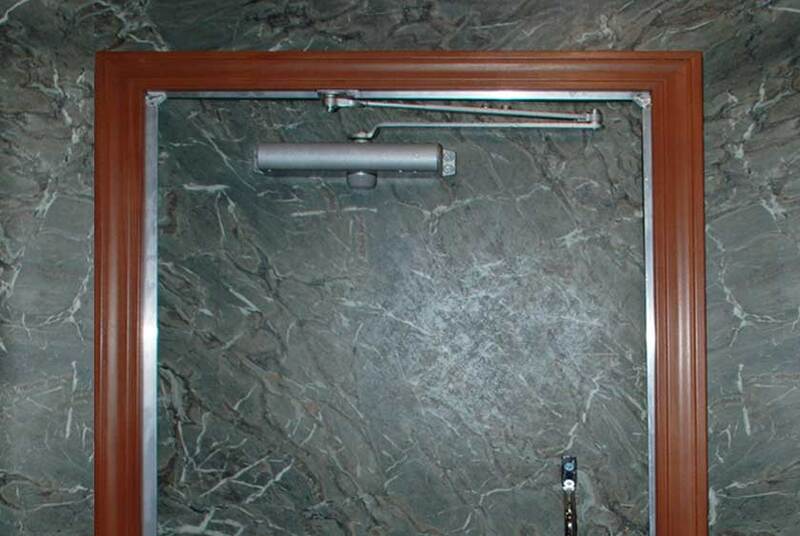 Women guests are sure to appreciate the very spacious bathroom stall with a ﬂoor to ceiling lockable door. 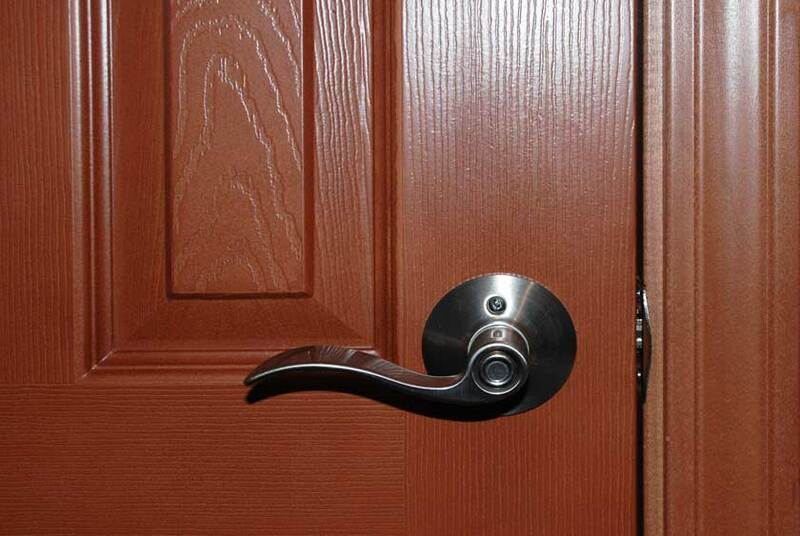 The door handle and hardware of the bathroom stall door are a brushed nickel finish. The women's private stall includes a porcelain hands-free ﬂush toilet, double toilet paper holder, trash receptacle, and ceiling vent. There is also two custom framed art prints hung inside the women's stall in ornate gold frames. 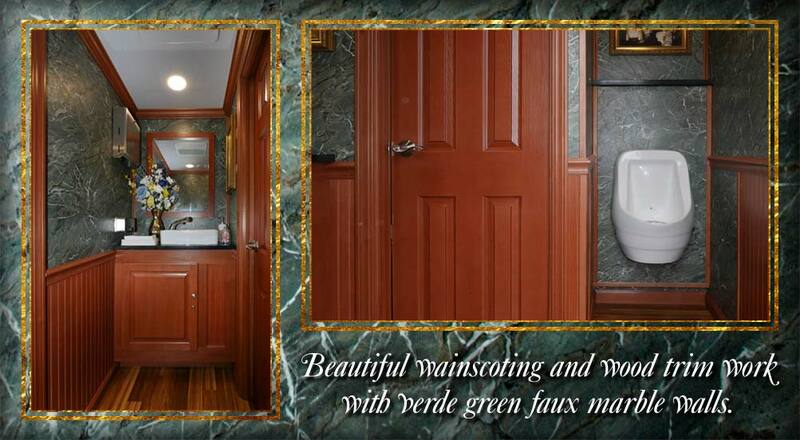 The men's side of the MANHASSET has all the same elegant details, amenities and décor as the women's restroom. 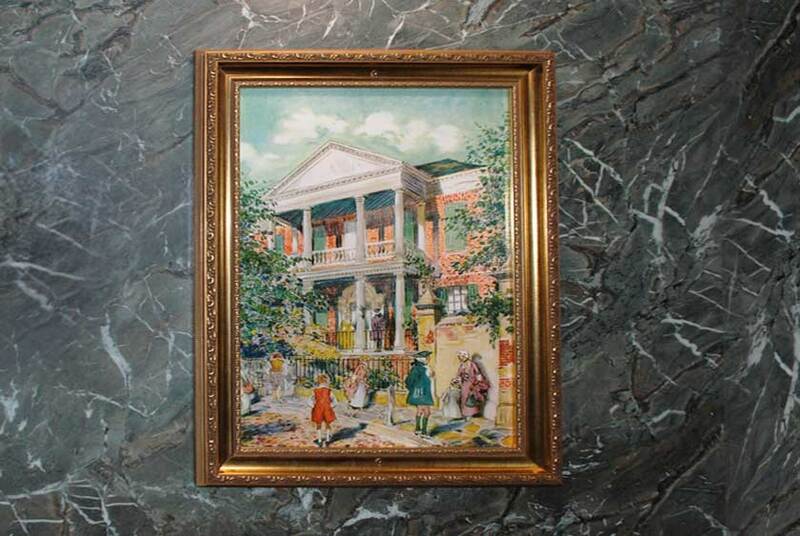 Custom framed artwork, beautiful ﬂoral arrangement, designer and wall-mounted soap dispensers, hand towel tray, wall-mounted towel dispenser, and filled candy dish are all provided. The men's bathroom also has a large private stall with the same design features as the women's stall. 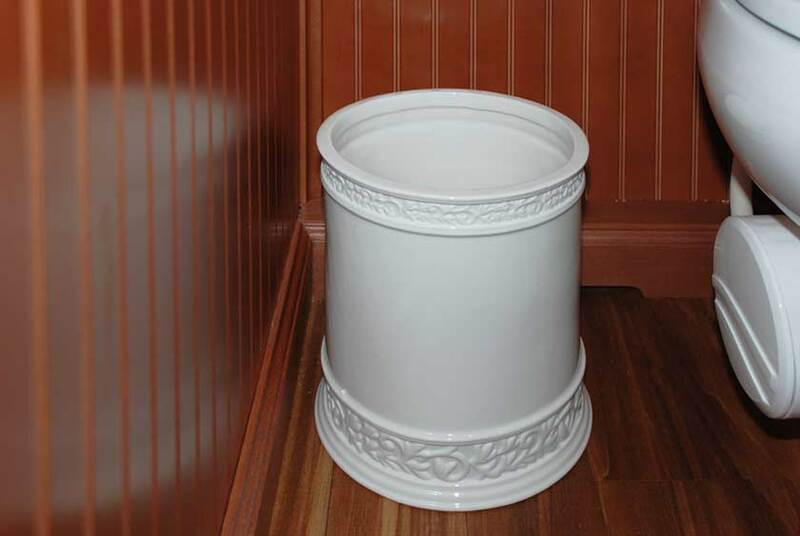 The Sloan waterless porcelain urinal is an additional feature inside the men's restroom. 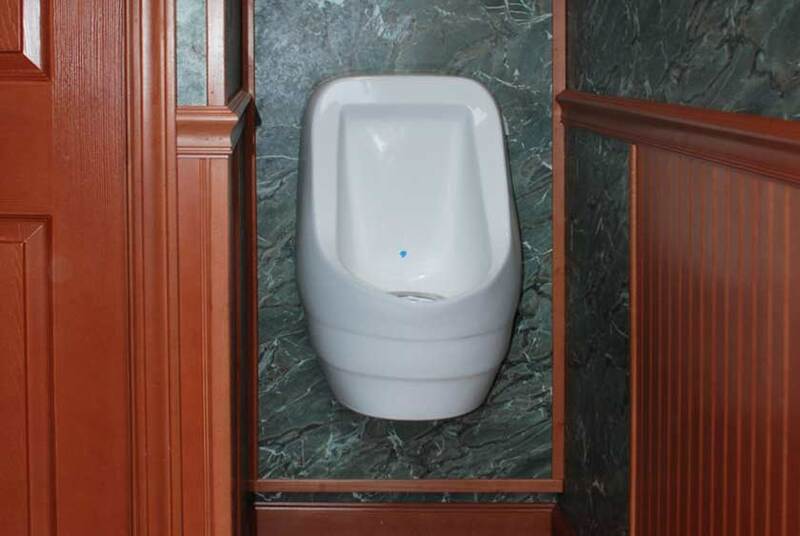 The men's urinal includes walls on three sides for privacy. Above the urinal, there is artwork and a shelving area for convenience. 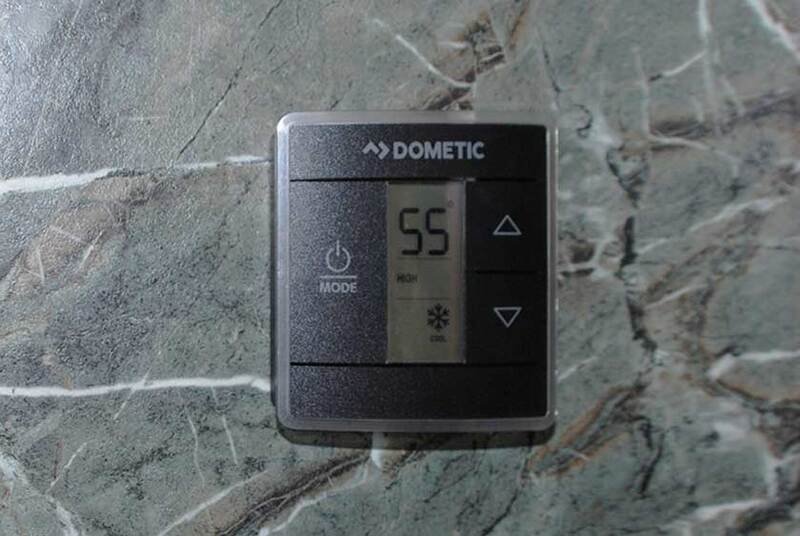 The MANHASSET Luxury Restroom Trailer's thermostat heat and air conditioning will provide a comfortable bathroom experience all year. 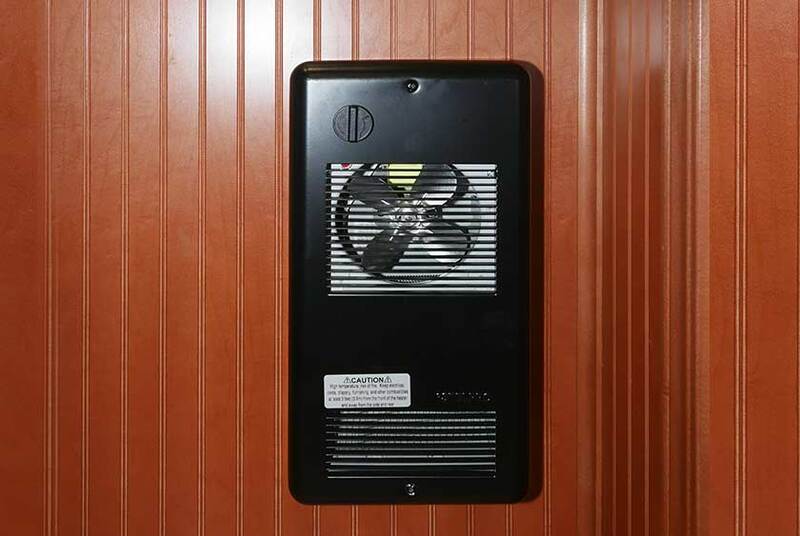 For the coldest New York winters, the MANHASSET's fan-forced heater will provide extra warmth inside the restroom. 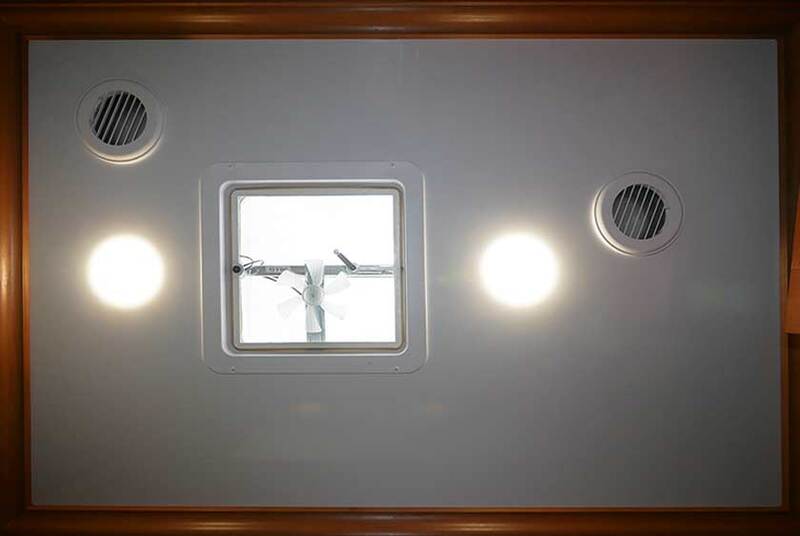 Plenty of ceiling lighting will give plenty of light inside the restroom. 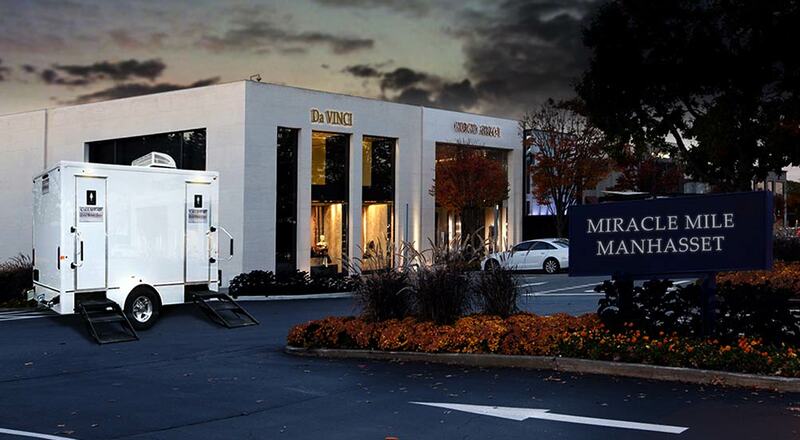 A CALLAHEAD uniformed specialist will professionally deliver the MANHASSET LUXURY RESTROOM TRAILER to your location. Set-up of the restroom trailer will take approximately 30-minutes which includes stocking the MANHASSET with supplies. 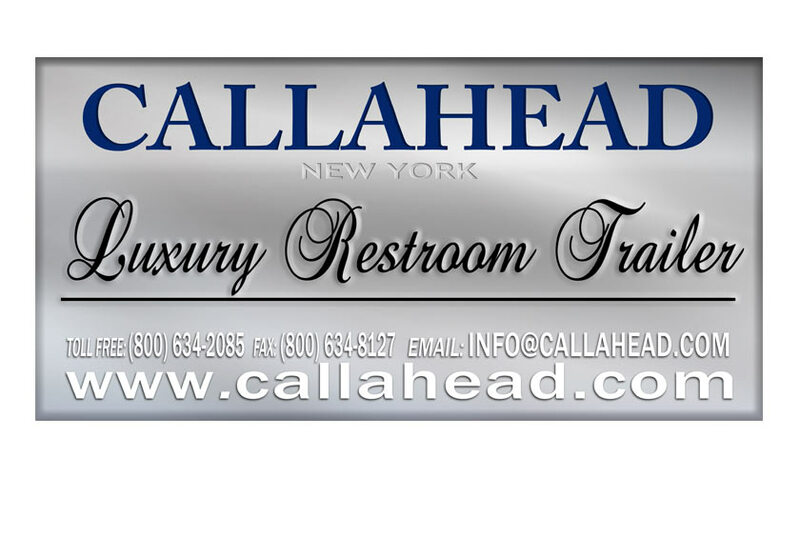 CALLAHEAD has been in business since 1976 providing the very best in portable restrooms to New Yorks residence and businesses. 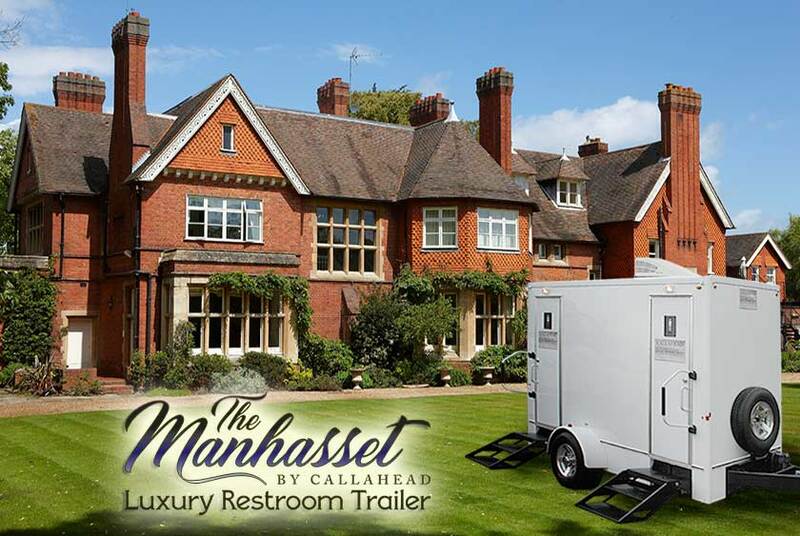 When you rent the MANHASSET Luxury Restroom Trailer or any CALLAHEAD product, you know you will receive the world's greatest portable restrooms that only decades of experience and innovations can deliver. Also, since CALLAHEAD cleans and sanitizes all of our equipment with only hospital grade cleaners, you know you are renting cleanest restroom trailers available anywhere. 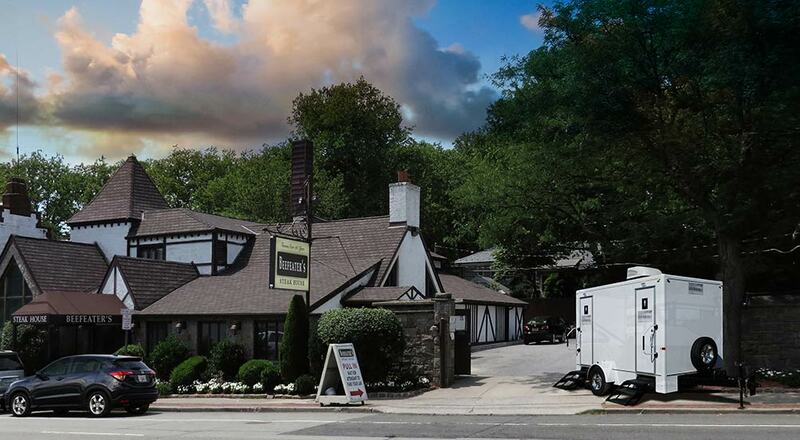 A CALLAHEAD professional uniformed restroom attendant is available to keep the MANHASSET Restroom Trailer in pristine condition and has all the amenities re-stocked throughout your entire event. When organizing a special event, you want everything to be perfect, especially restroom facilities for your guests. 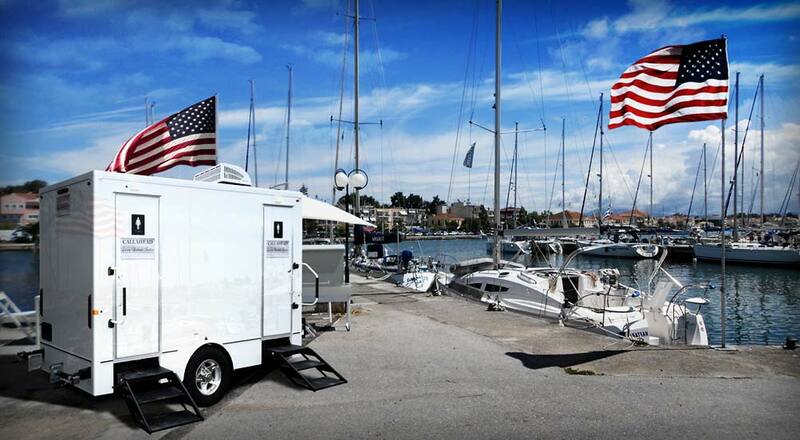 CALLAHEAD is renowned in the portable toilet industry for impeccable service, innovative equipment, and the most elegantly designed portable restroom trailers ft for royalty. 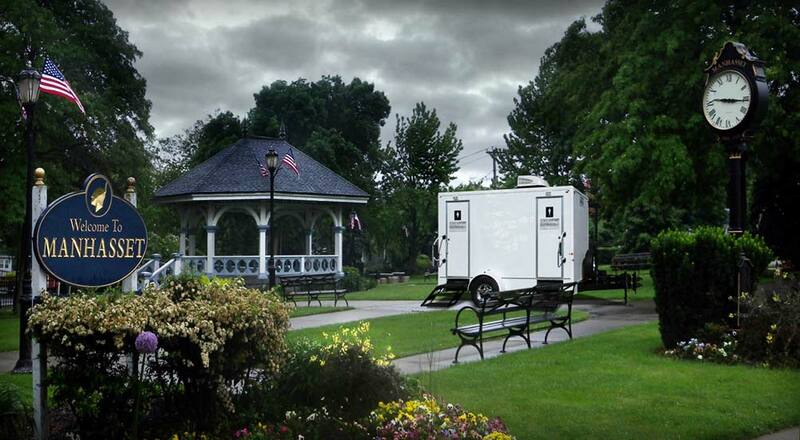 When you want the very best portable restrooms for your special event, only CALLAHEAD, New York's largest and most trusted portable sanitation company will deliver. 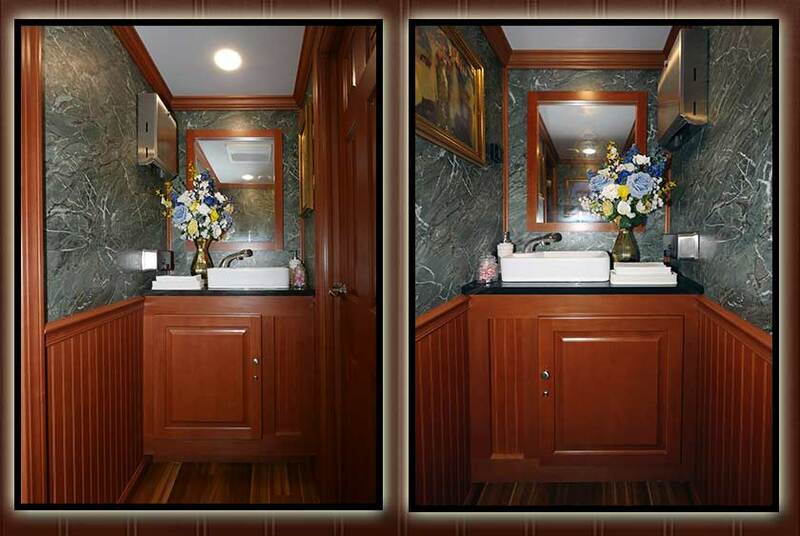 CALLAHEAD's MANHASSET Luxury Restroom Trailer is a 3-station restroom with separate women's and men's facilities and includes VIP amenities. 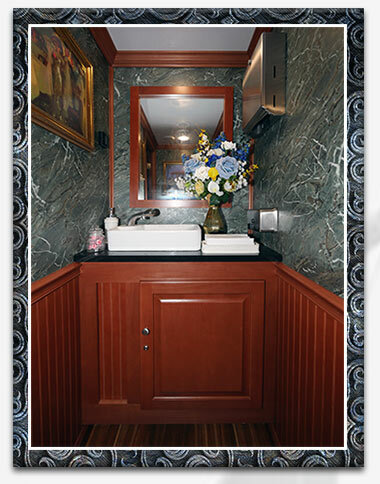 Whether your event is a formal wedding or an intimate gathering, the MANHASSET Luxury Restroom Trailer delivers elegant and clean restrooms for any social event. 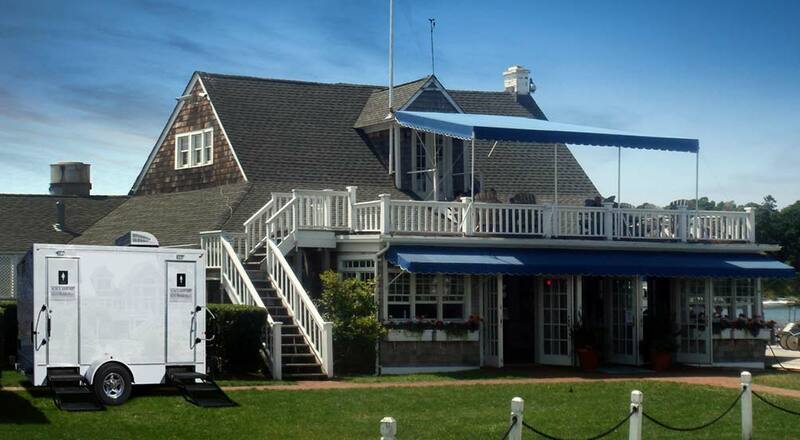 The bright white exterior looks great in any location, and outdoor lighting will accommodate evening events. 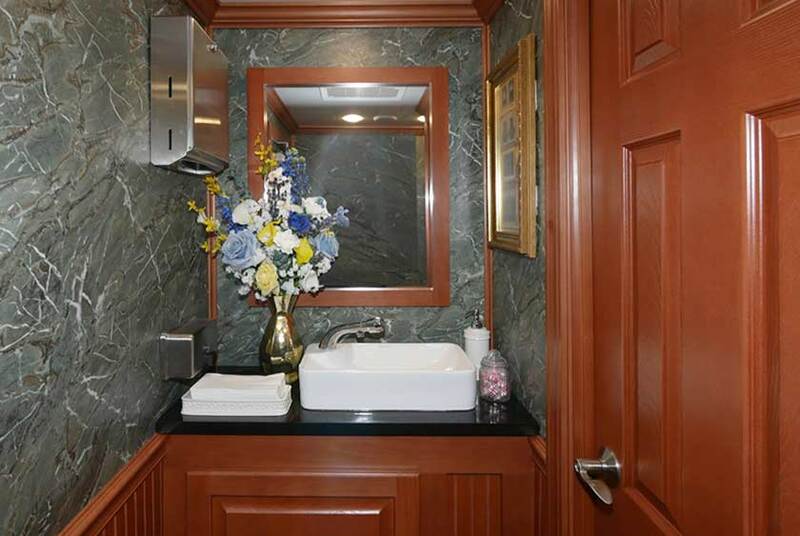 The women's and men's facilities of the MANHASSET Luxury Restroom Trailer each have a large private bathroom stall, custom framed artwork throughout, beautiful ﬂoral arrangement, thermostat heat and air-conditioning, and a surround sound music system to provide the very best for your guests. 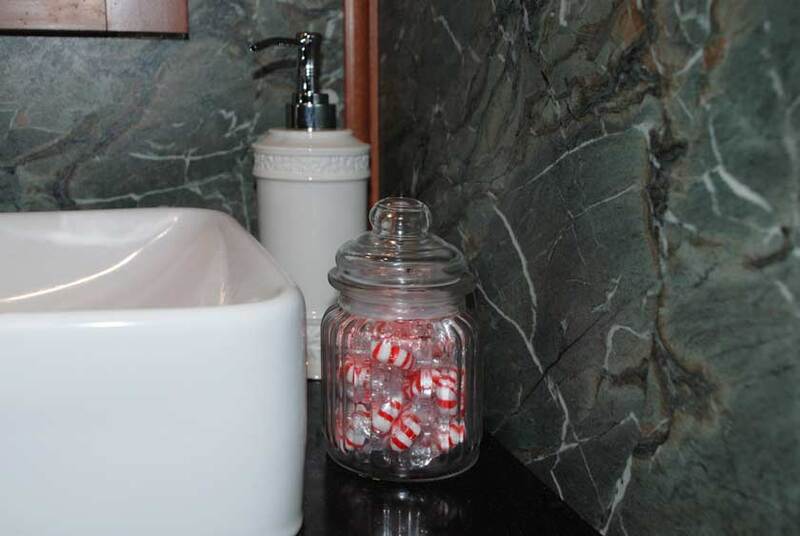 The vanity area includes a porcelain sink basin, filled antibacterial soap dispensers, hand towels, candy dish and vanity mirror for a five-star restroom experience. 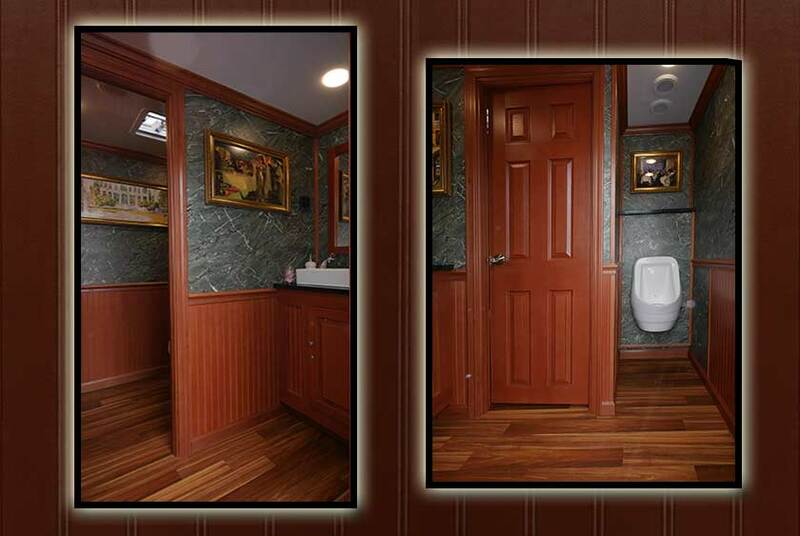 Both restrooms have an extra-large fully enclosed private stall with a solid wood lockable door. 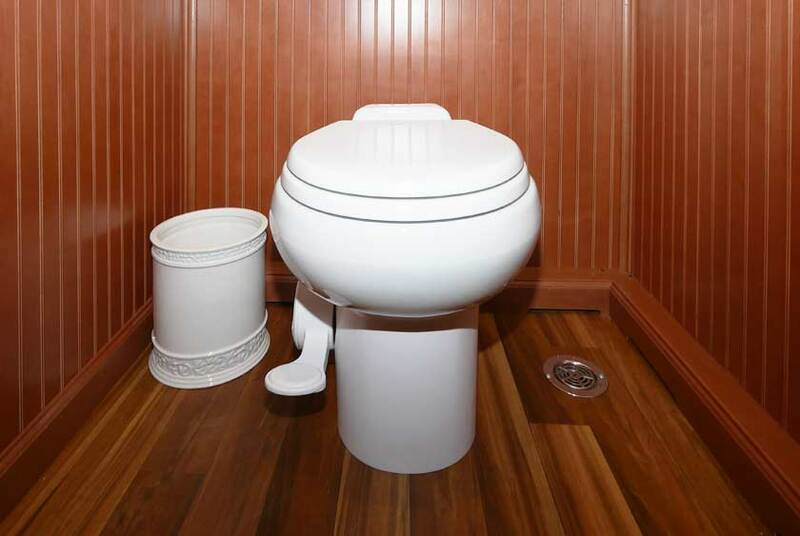 The men's restroom also includes a Sloan porcelain waterless urinal with walls on three sides for privacy. 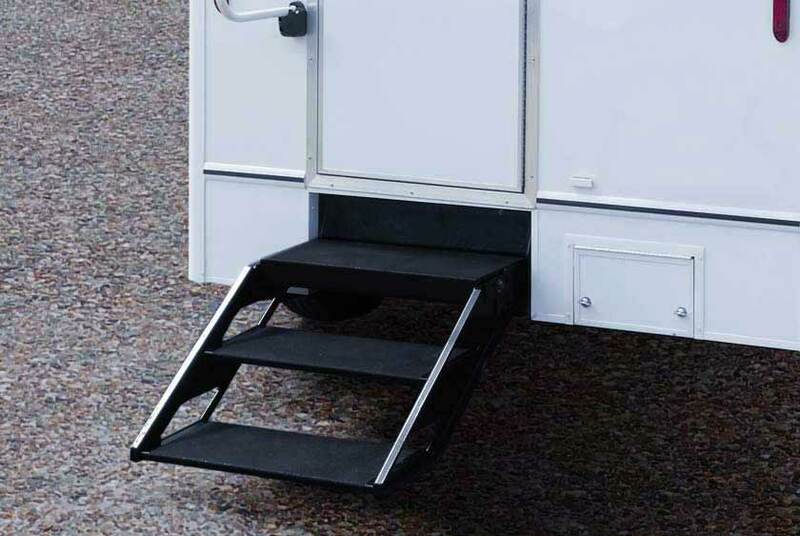 You will enter the MANHASSET Luxury Restroom Trailer using the ﬂoating staircase with aluminum handrails. 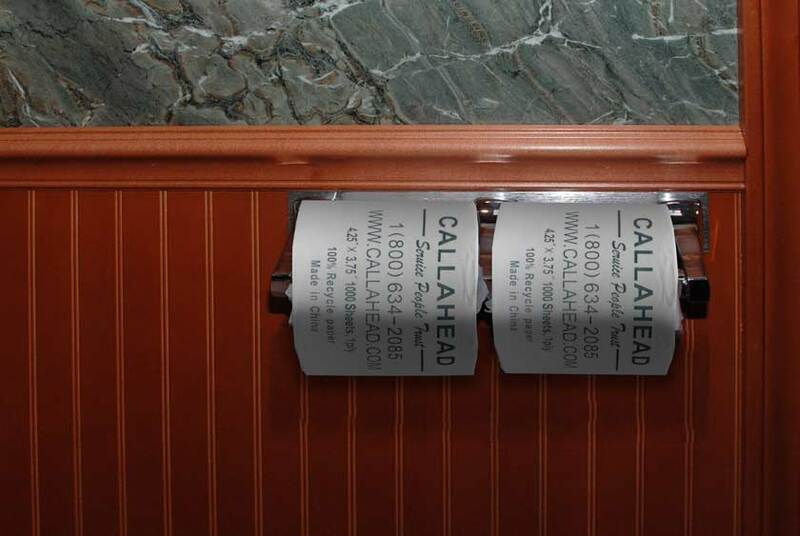 Both the women's and men's restroom doors display "CALLAHEAD Luxury Restroom Trailers" on the exterior representing the very best. Once inside both the women's and men's facilities, you will immediately see these restrooms have a warm and elegant interior.